The Jacksonville Jaguars look to build off the success from a year ago by going up to New Jersey and securing a road victory on Sunday afternoon. The defending AFC South champions go up north and play the New York Giants, who have undergone a slight transformation this offseason. The Giants have a new coach, and a new running back, but still have familiar names in quarterback Eli Manning, and recently paid wide receiver Odell Beckham, Jr. The Jaguars bring in a very similar team to what they had last season with a few people missing, due to injury, or free agency. The Giants, in 2017, went 3-13 and look to get back to getting on track, after a season marred to injury, and poor coaching. The Jaguars will need the defense to continue their dominant ways and shut down Manning, Beckham, and rookie running back Saquon Barkley, in order for the Jaguars to win this game and start the season on the right note. 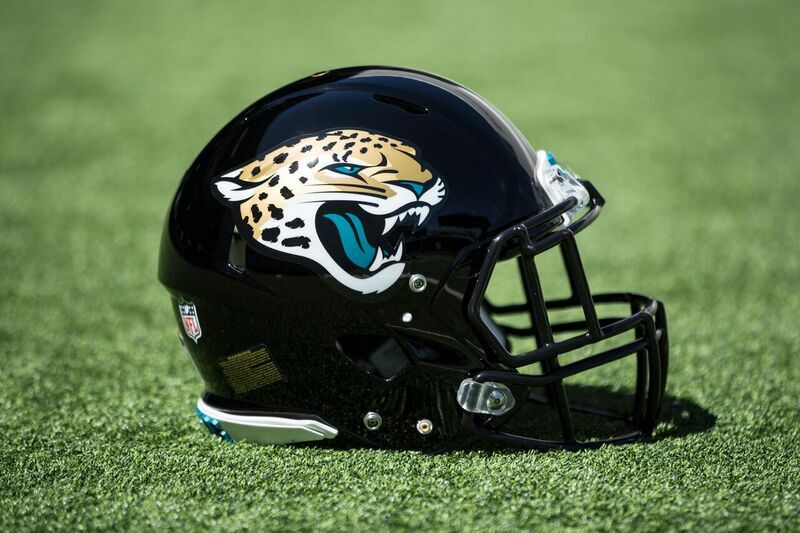 The Jaguars and Giants face off Sunday at Metlife Stadium with kickoff scheduled for 1 p.m.
Jacksonville is 3-3 all-time versus the Giants, with the last meeting coming in 2014, The Jaguars came back from being down 21, and pulled out the victory 25-24 at Everbank Field (now named TIAA Bank Field) in Jacksonville, FL. Patrick Omameh was on the Jaguars roster in 2017 and started 13 games for the Jaguars. He was not brought back after the Jaguars signed guard Andrew Norwell away from Carolina. Omameh then signed a three-year, $15 million deal with $5.5 million guaranteed with the New York Giants this past offseason. Tom Coughlin: Coughlin was the Giants head coach form 2004-15, before he retired in 2015 from coaching. He is now the Jaguars Executive Vice President of Football Operations, and was the Jaguars head coach from 1995-2002. Pat Flaherty: Flaherty worked under Coughlin in New York from 2004-15 and was in charge of the offensive line while with the Giants. During his tenure in New York, the Giants offense was a top 10 offense in six of eight seasons and had a 1,000 yard rusher in seven of the 12 seasons that Flaherty coached the offensive line in New York, He is the offensive line coach for the Jaguars, entering his second year with the team. Keenan McCardell: McCardell started his coaching career with Coughlin in 2009 as a part of the Bill Walsh Minority Fellowship. He is entering his second year as Jaguars receivers coach. Perry Fewell: Fewell worked under Coughlin twice in his coaching career. First, from 1998-2002 while with the Jaguars, as the defensive backs coach and with the New York Giants as the team’s defensive coordinator from 2010-14. He is entering his second season as the Jaguars secondary coach. Jalen Ramsey vs. Odell Beckham – Two of the best players at their respective positions in the NFL go head to head. This will be the matchup to watch throughout the game. Saquon Barkley makes his NFL debut for the New York Giants. Barkley was the number two overall pick in the 2018 NFL Draft. He could have a big day against the Jaguars, as the Jaguars finished 21stagainst the run in 2017. Which receiver will establish themselves as the number one option for quarterback Blake Bortles? With Marqise Lee being out for the 2018 season due to a preseason injury, Donte Moncrief, Dede Westbrook, Keelan Cole will need to step up to help Bortles. Will rookie D.J. Chark contribute anything week 1? The WR logjam will be something to monitor. Will the Jaguars involve Corey Grant more in the playcalling? The Jaguars got criticism from their fans and still don’t have an answer why the use of Corey Grant was stopped after the first half against the Patriots in the AFC Championship this past January, after Grant had success getting through the Patriots’ defense. Can this team maintain the success built off last year? Starting off 0-1 may cause doubts to creep into many Jaguars’ fans’ minds, especially with New England coming to town in week 2. The New York Giants are trying to get back to the playoffs after being dreadful in 2018. The Giants started 0-5, and lost star wide receiver in the week 5 loss. The Giants season did not go as planned, thus leading to a 3-13 finish. With that record, ownership cleaned house and fired longtime general manager Jerry Reese and incompetent head coach Ben McAdoo after week 13. The Giants hired general manager Dave Gettleman from the Carolina Panthers, and hired Pat Shurmur, most recently the offensive coordinator of the Minnesota Vikings in 2017. The Giants have talent on both sides of the ball and could be a problem for the Jaguars this Sunday. The main matchup that everyone will be talking about will be Jalen Ramsey vs. Odell Beckham, Jr, and with fair reason. They are both incredible talents and top performers at their positions. But the matchup that could determine the game could very well be the battle between Giants tight end Evan Engram and the Jaguars linebackers. Engram is a very athletic tight end and could very well be a top tight end in the NFL this upcoming year. The Jaguars linebackers are also athletic and can keep up with Engram, but the Jaguars have struggled with tight ends in matchups in the past. Look for this to be a critical matchup. Protect the ball. Slow Down Odell Beckham, Jr. Force Eli Manning to make bad decisions. White jerseys on white pants. Frank Frangie, Tony Boselli and Jeff Lageman will provide the call on 1010XL and 92.5 FM with Rick Ballou working the sidelines. The Sawyer Gas Kickoff Show begins at 10 a.m. It’s the fifth season of the Jaguars being on Jacksonville’s sports superstation. The Jaguars-Giants will air on FOX and locally on WFOX 30 at 1 p.m. Sunday. Kenny Albert will provide the play by play along with Rhonde Barber for color commentary and Tiki Barber, who will be roaming the sidelines.